When I decided to try to get into blogging again, I spent a lot of time lurking on other blogs before getting up the courage to start commenting. 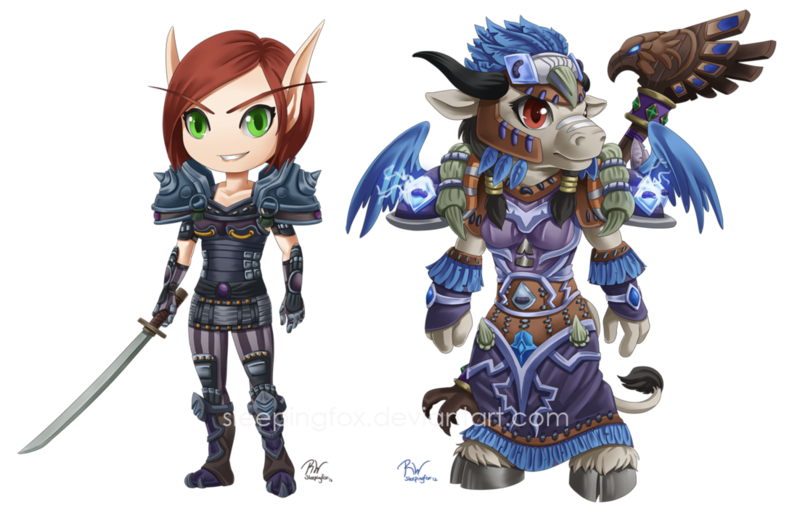 And when I saw Navimie’s post showing off a tauren druid chibi, I both had to comment on the cuteness and get one for my very own. Seriously. These completely made my day. Koralie is wearing my favorite transmog for her and what I like to call her crazy punk armor set. I just love the striped stockings on it, and Sleepingfox captured the loot of the set perfectly. She also got Koralie’s slightly mischievous expression too. So happy and excited! Sleepingfox, you are amazing!